BACHMANN 32-900 DCC Fitted BR CLASS 108 2 CAR DMU LOCO SET WITH WHISKERS. Condition is Used. CAB number 108. 4 out of 5 stars - BACHMANN 32-900 DCC Fitted BR CLASS 108 2 CAR DMU LOCO SET WITH WHISKERS. 1 product rating1 product ratings - BACHMANN 32-900 DCC Fitted BR CLASS 108 2 CAR DMU LOCO SET WITH WHISKERS. Hornby R8213 Select DCC Digital Controller. With manual. Not in original box, but will be shipped securely. Condition is Used. Dispatched with Royal Mail Signed For® 2nd Class. Hornby Trains Sets. 14.1mm Disc Wheels. Contents: 10 x assembled sets. Sylvanian Familes. Tamiya RC Cars. Sylvanian Families. Plastic Model Kits. Scalextric Cars. 1x Hornby R4370C Ex-BR First Great Western Mk3a Tourist Open coach A -42144 - has been lightly professionally weathered and is in the First Great Western Dynamic Lines Blue livery; with buffers fitted to make it a Mk3a version (which can easily be removed, they just push in) and is in a fully boxed condition. Bachmann 32-935 Class 150 2 Car DMU Arriva Trains Wales OO Gauge. Unused condition, minor scuffs to box. Immaculate! Dispatched with Royal Mail 1st Class. 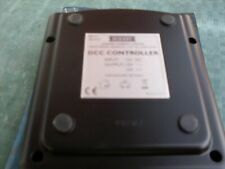 HORNBY R8213 Select DCC Digital Controller Transformer Pack BRAND NEW! The Select can also operate 40 solenoid operated accessories including points. This product is not suitable for children under 3 years because of small parts which can present a choking hazard. Handle with care. 5 out of 5 stars - HORNBY R8213 Select DCC Digital Controller Transformer Pack BRAND NEW! 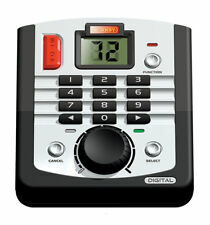 25 product ratings25 product ratings - HORNBY R8213 Select DCC Digital Controller Transformer Pack BRAND NEW! Runs smoothly in both directions with all directional lighting functioning as it should. STANDARD BUFFET COACH. 'OO' GAUGE. EXCELLENT BOXED CONDITION. Get images that. make Supersized seem small. WANTED SECOND HAND COLLECTIONS TOP PRICES PAID. Hornby R3279 County of Hants.1016.BR e/c.DCC Ready.Nr.Mint.4-6-0.Boxed. County class. Double chimney. DCC Ready Decals all good. excellent condition. Near Mint. 4.5 out of 5 stars - Hornby R3279 County of Hants.1016.BR e/c.DCC Ready.Nr.Mint.4-6-0.Boxed. 4 product ratings4 product ratings - Hornby R3279 County of Hants.1016.BR e/c.DCC Ready.Nr.Mint.4-6-0.Boxed. The model is DCC ready. Hornby BR, 'Terrier', 0-6-0T, 32636 - Era 5 (R3768). Now the oldest locomotive on the Southern Region, the locomotive even received BR Diesel style numbering when repainted at Eastleigh in April 1962. Hornby BR, Class 73, Bo-Bo, E6002 Locomotive – Era 5 (R3591). Tip: This item can easily be fitted with a DCC decoder to make it digital ready for use with existing or new digital train layouts. 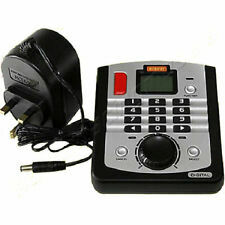 Use the Hornby NMRA compliant DCC decoder (R8249) and you can plug it straight in or use a Hornby TTS Sound decoder. Hornby LNER 'Flying Scotsman' A3 Class Locomotive wtih TTS Sound (R3284TTS). Now you can own a slice of model railways history with one of these iconic miniature trains which are finely detailed and just like the original design by Sir Nigel Gresley. Used – Very good boxed condition. Small glue marks on coal rail. Box contains service sheet and inlay. 'OO' GAUGE. 'SCOTT TRACY'. CLASS 57 301. VIRGIN TRAINS. WANTED SECOND HAND COLLECTIONS TOP PRICES PAID. Hornby LNER 'Mallard' A4 Class TTS Sound Locomotive (R3395TTS). Add a touch of magic to your layout with the fastest steam locomotive in the world - the Mallard. F15 Coupler clank. F14 Guard’s whistle. 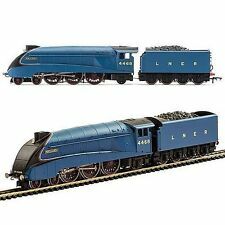 NEW HORNBY LEGENDS R3072M B.R. 2-10-0 CLASS 9F STEAM LOCOMOTIVE & TENDER. NUMBER 0541 OF 1000 PRODUCED. LIMITED EDITION. DCC READY. LOCOMOTIVE NUMBER 92220,' EVENING STAR '. The Model is DCC fitted set to factory code 3. examples below. BR 4-6-2 'Flying Scotsman' 60103 A3 Class, Brunswick Green. DCC FITTED. HORNBY DIGITAL. Hornby Trains Sets. CONVERT YOUR LOCOS TO DIGITAL. R8249 Digital Chip. Tamiya RC Cars. Sylvanian Families. Bachmann OO Gauge,"LMS", Jubilee Class 4-6-0 Tender Locomotive 5563"AUSTRALIA" 31-185BOXED DCC Ready. This loco is in very good used condition. It would be a useful addition to any layout. LEGENDS R3272M BR 2-10-0 EVENING STAR CLASS 9F. EXCELLENT CONDITION. CLASS 42 "BENBOW". BR (EARLY). Used – Very good boxed condition. DCC fitted #3. Box contains service sheet, inlay and etched plates. The Select can also operate 40 solenoid operated accessories including points. WORKING ORDER: Yes. Bookmark Us. Important Information. PERFECT - DCC READY. MINT BOXED. See pictures for details. Bachmann OO Gauge 31-626 BR Black early emblem 0-6-0 Class 3F Tender Locomotive 43762 dcc fitted. 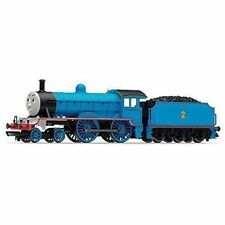 This model is in excellent test run condition, it has had a Loco crew added in the cab, it has it’s unopened accessory bag and it’s instruction leaflet and the box is in very good condition. BRAKE CORRIDOR COACH. 'OO' GAUGE. EXCELLENT BOXED CONDITION. make Supersized seem small. OFFICE OPENING HOURS ARE 9.00AM TO 5.00PM MON TO SAT. Only a phone call away. WANTED SECOND HAND COLLECTIONS TOP PRICES PAID. The Loco is missing the smoke box door wheel, and the tender is missing one buffer and there are no brake rods present. This locomotive does not look like it has had much use. With Loco Drive. GOOD USED - DCC READY. Bachmann 32-125DC Class 45XX straight sided 2-6-2 Prairie tank in BR lined Green 4507 DCC Fitted. Has seen little use and under test runs very well on DCC Code No 3 factory fitted. We can remove the DCC chip if you do not need it. Hornby OO Gauge,LMS, Class 5, 4-6-0 Tender Locomotive 5112 R2881DCC Ready ,BOXED. This loco is in very good used condition looks almost new. It would be a useful addition to any layout. Hornby Christmas Wagon 2017 - R6825. - 1 x Hornby Christmas Wagon 2017 - R6825. Bachmann OO Gauge 311-626 BR black early emblem 0-6-0 3F Class Locomotive 43762. Functions: Motorised revolving sprung abrasive head for rail surface dirt. Motorised revolving sprung buffing head for polishing the rail! Vacuum cleaner function for dust and dirt removal. NEM coupling pockets with tension lock coupler fitted. The locomotive is DCC FITTED. The loco is fitted with the Hornby TTS sound DCC chip. Below is an extract from the Hornby website Their streamlined design not only made them capable of high speeds, but created an updraught of smoke, avoiding the obscuring of the driver's vision that was such a major problem on the Class AJ engines.